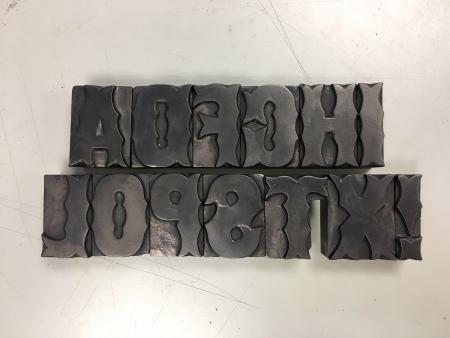 Trying to identify some wood type. The blackletter font in the first image has a Day & Collins mark. 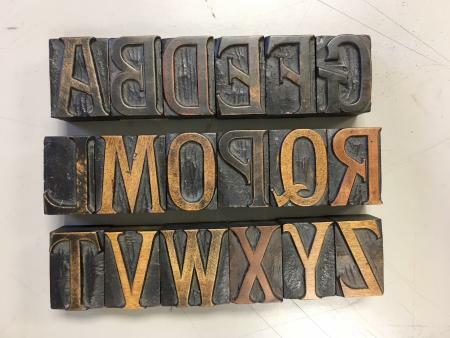 The other two typefaces do not have maker’s marks. Appreciate any help! Found two out of the three. The Day & Collins is very similar to Hamilton’s Bradley series, not sure if that is the name D&C used. The third image is Morgans & Wilcox’s Facade. Still have not identified the middle image. 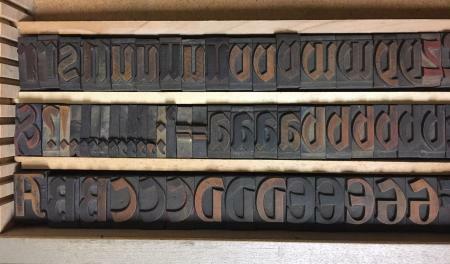 The top image is ‘Abbey Text’, very similar to the Bradley series, and made available in both wood and metal by Stephenson, Blake Co, and in wood by Day & Collins. Last picture is ID’d as Facade. 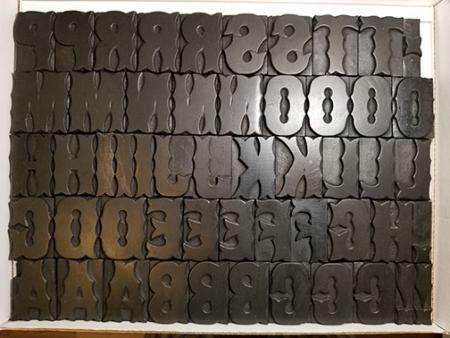 Facade was a metal typeface which in turn was a condensed version of Mural (both originated at the Boston T.F. This actually more resembles Mural. I have the second font also. Been looking to identify the second one. Maybe from overseas?